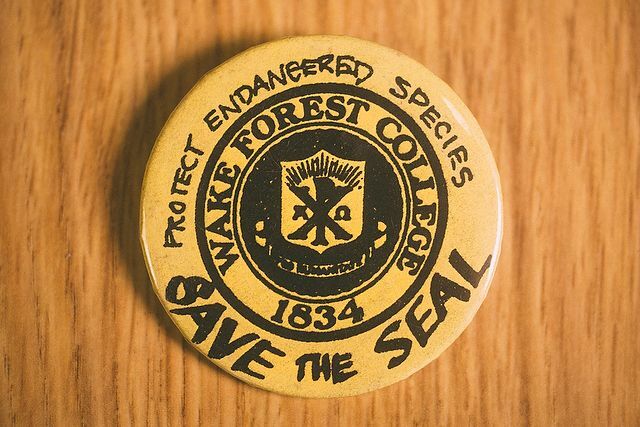 Two historical items in “Object Curiosity” in the Spring 2016 issue of Wake Forest Magazine shared a jocular artist: the late Professor of Psychology David Hills. 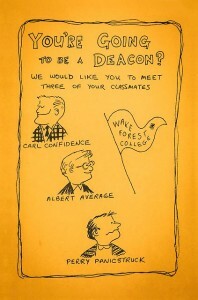 The orientation brochure “You’re Going to be a Deacon?” from 1964 featured illustrations by Hills but without his name on the artwork. 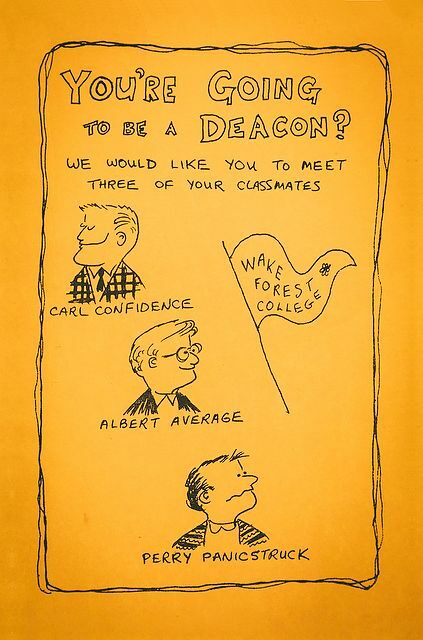 His humorous drawings depict fictional classmates Carl Confidence, Albert Average and Perry Panicstruck as they adjust to the challenges of college life. 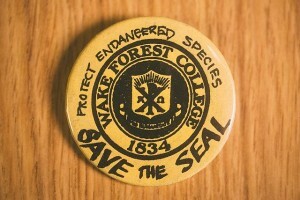 Hills also did the lettering for the “Save the Seal: Protect Endangered Species” button for a 1984 campaign to preserve the Pro Humanitate seal on University stationery. Hills, who died in 2007, was an associate professor of psychology from 1960 to 1996. 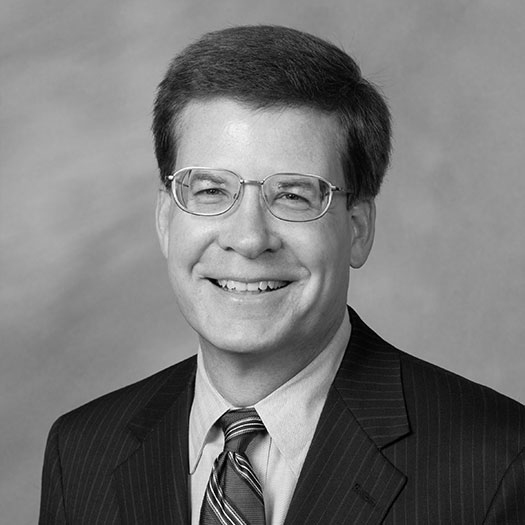 He also served as assistant director for the Center for Psychological Services and coordinator of student services. 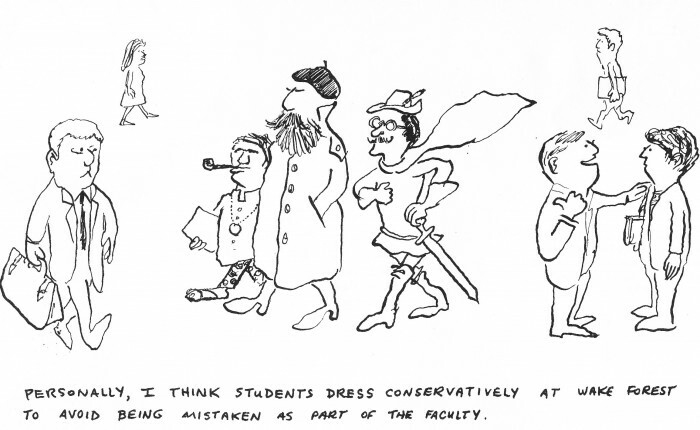 He was a prolific cartoonist whose drawings captured a feel-good vibe of campus life in the 1960s, ’70s and ’80s. His cartoons enlivened brochures for Freshman Orientation, Homecoming and Parents’ Weekend, theatre programs, even cookbooks. He often included himself in his cartoons as the modest, bespectacled man in the corner. 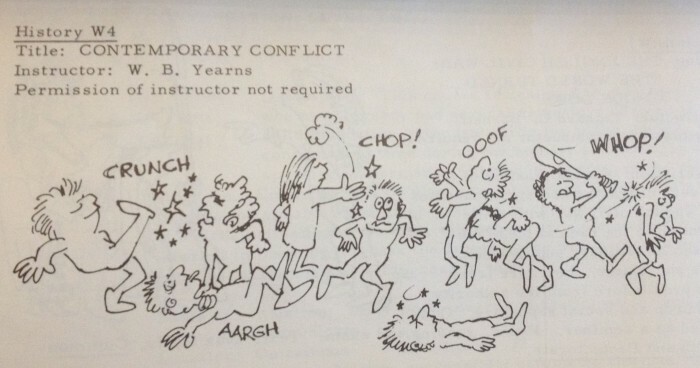 In his illustrated booklets for January term classes in the 1970s and early 1980s, he turned what otherwise would have been a dull listing of courses into a sketchbook, using simply drawn characters and a clever word or two to describe each class. 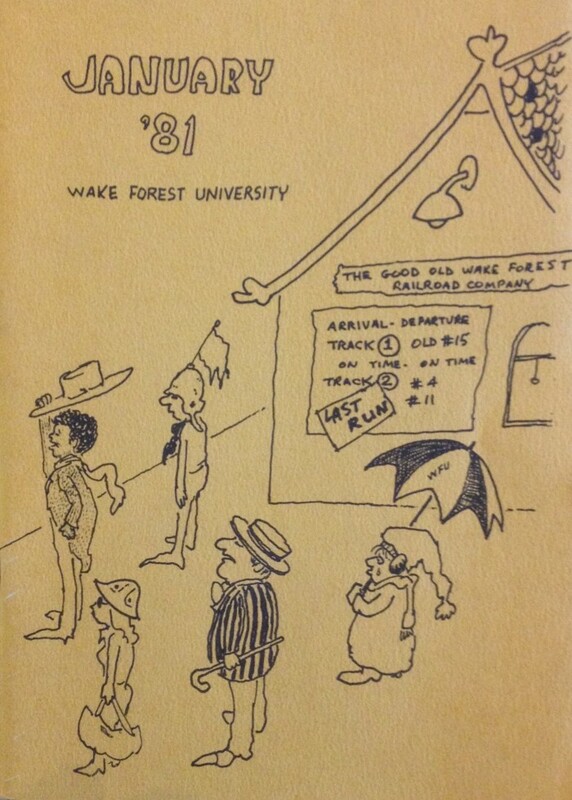 For the last booklet in 1981, he drew a bittersweet cover with some of his recurring characters bidding farewell to the January term. Hills' illustration for a January term class on "Contemporary Conflict." Hills was also the coach for the 1963 College Bowl team that traveled to New York City to appear on the popular CBS quiz show, “The G.E. College Bowl.” The team won two matches before losing in the third round.